Nordic design has become a recognised, much-loved trend the world over. With the Danish slow living concept of "hygge" and the minimalistic and sophisticated look of the Swedish "lagom" trend, the Nordic look is more ubiquitous and adaptable than ever. This week we have got to know the designer Larissa Reuter, owner of the Berlin based home decor label, HETTI. Larissa certainly fits right in with our passion and love for Nordic design. 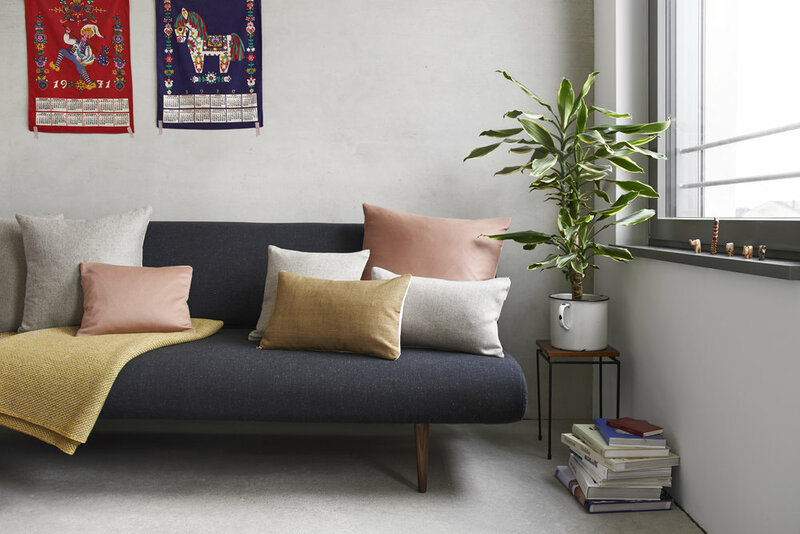 As a brand, HETTI uses carefully selected natural fabrics to create beautiful, Scandinavian-inspired homewares. With a focus on pure, simple design and rich colours, HETTI creates and gives every environment a warm, cozy atmosphere. 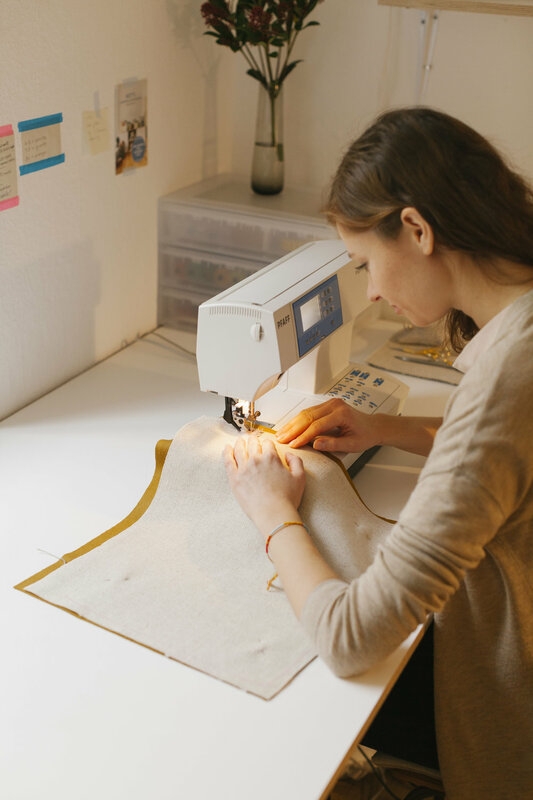 Larissa: "My Grandma Hetti was the one who inspired me to start with handcrafting and sewing in the first place – she encouraged me to take a class and made me go there. All her life she worked on something herself and designed and sewed clothing for me and the other the kids in our family. Her creativity and the love and dedication she would put in those things was always a huge inspiration to me. HETTI is named after her and makes me appreciate everything she taught me every day." Larissa: "The HETTI design is minimalistic yet we are not afraid to use strong colours and combinations. The typical HETTI pillow combines two colours or fabrics typically a colourful side and a neutral shade. So each day you may decide if you would like to choose to have the bright side on show or rather go for a more discreet accent. These two sides are combined with a contrasting zipper – we don`t hide the zippers, they are a part of the design and a nice bridge between both elements of the pillow. Part of our range, the "Pacioli Pillows", has contrasting fabrics meeting each other in the 'golden ratio' on both sides." How can our readers create a Nordic look with HETTI cushions? Larissa: "I think all of the HETTI cushions that show a reduced colour pallet fits well with the Nordic look. 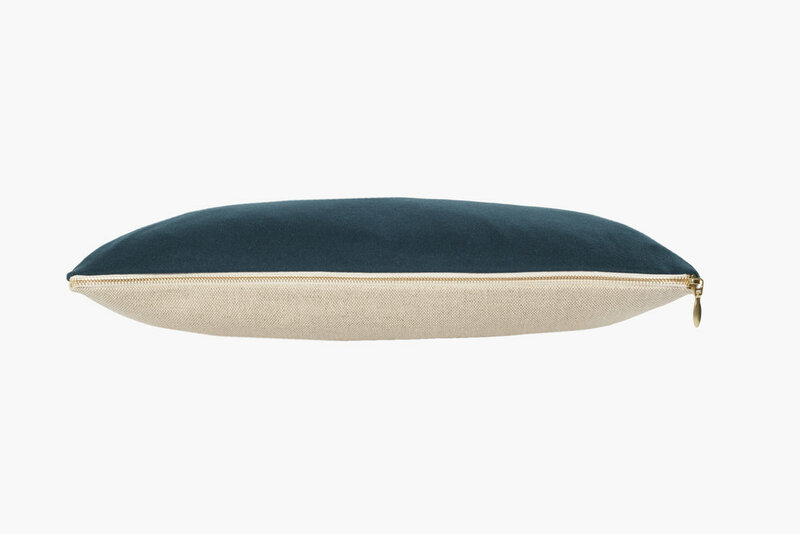 Two perfect examples would be the OTILIJA cushion, which combines a dark petrol blue wool with a beige linen and a golden brass zipper, as well as the CHARLES, a combination of two light grey and beige linen wool weaves closed with a forest green zipper. These two pillows also look great when paired together." What do you love about Scandinavian design & the Nordic look? How does HETTI aspire to create this? Larissa: "What we love about Scandinavian design is that is presents a very unique combination of simplicity, elegance and cosiness. Maybe it is because people are used to spend a lot of time indoors during the winter months, but we feel like Scandinavian homes and interiors show that little bit of extra effort to make everyone feel comfortable. I believe that reduced forms and colour palettes create harmony and make you feel calm and relaxed. Straight lines, clear proportions and a harmonic shades are simply making me happy and do enhance my creativity. At HETTI we are aiming for the same aesthetic and bringing a colourful, warm but approachable accent to your house. The Nordic look represents a familiar feeling and with our brand we want to be a part of that family." What inspires you most with current and future products? Larissa: "As an art historian I am addicted to everything art and culture related and I find inspiration in all of it – may it be a gallery opening, an exhibition in Italy or a moment while walking in nature or sitting in a café. As our design should compliment the lifestyle of our customers it`s only natural that I seek inspiration from life itself." Have you visited the Nordic countries? What did you think? Larissa: "I visited Stockholm a couple of years ago and I really liked it. The cityscape is very pretty and I fell in love with all the delicious Swedish sweet treats! Also, once a year I visit a good friend from Italy who is living in Copenhagen now and I love that too. I appreciate the calm and considered design and the understated flair of the city. The lifestyle of the people there as well as the aesthetics of the bars, shops and restaurants are a bit similar to Berlin and I get why both cultures are getting inspirations from one and another." 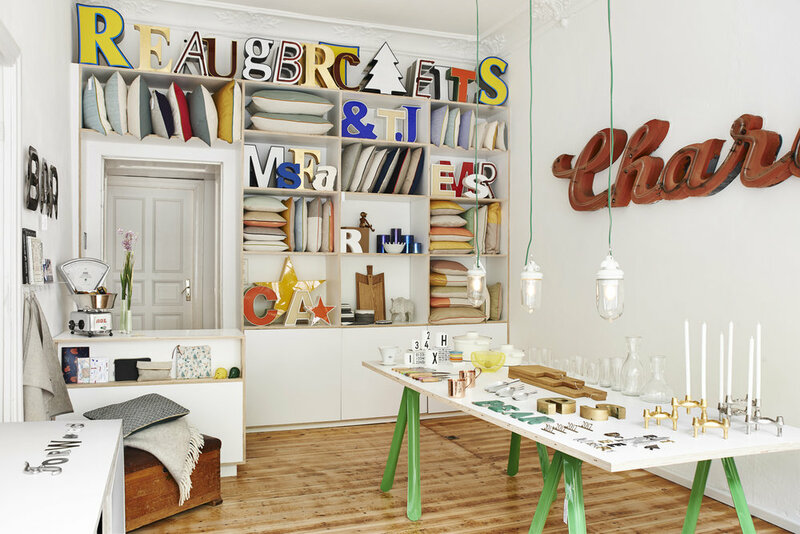 Are you seeing an increase in the Nordic influences and trends in the Berlin design scene? Larissa: "I think the Nordic look has always been very aspiring to Berlin, as our countries are so close to each other and there is a lot of cross-pollination between our cultures. This is especially the case when it comes to concept stores and even how people decorate their homes and dress, One can often see a very clean and minimalistic look that reflects the Scandinavian trends." What do you see for the future of the HETTI brand? Larissa: "In the future I would like to expand the little team I am working with in Berlin and be able to create even bigger collections. I also want to dive even more into using more and more sustainable materials. We use only natural fabrics such a linen, wool, silk and cotton and we want to explore even more possibilities and use more certified fabrics. Also I want to collaborate more with other designers. We are already planning to create textile designs and collections together with friendly designers."